Riverfront home with a view that will take your breath away! 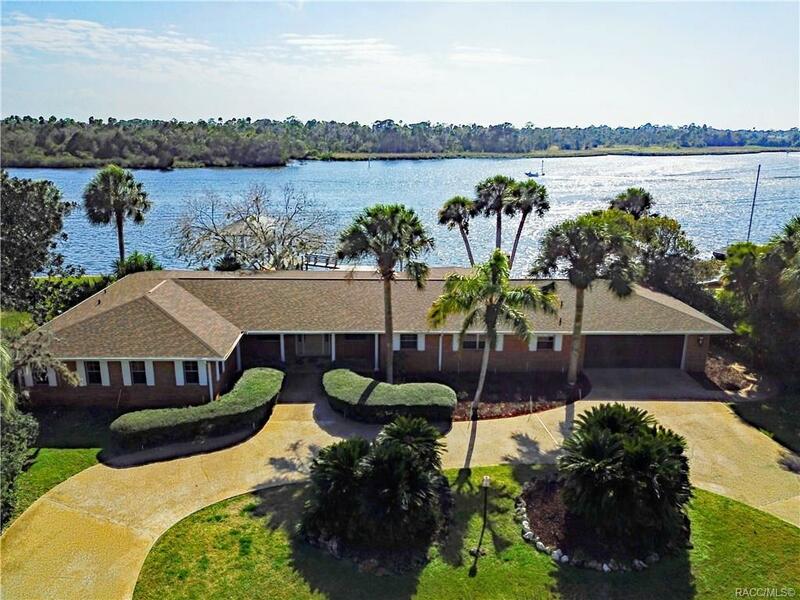 This is a rare opportunity to own a home on a double lot with 136 feet right on the Crystal River. Located halfway between Kings Bay and the Gulf of Mexico. One of the many highlights is a covered boat lift and floating boat dock. The interior is nothing short of impressive! The open floor plan allows you to enjoy views of the river from the Living Room, Family Room, Dining Room and Master Bedroom. Completely updated throughout, the owners thought of every convenience. Great for entertaining, your family and friends will surely be impressed. Every room is LARGE, space is abundant, and no shortage of storage here either, closets galore! Peace of mind with a roof that was done in 2016. Many more amenities, come see for yourself. Pick up the phone and call today, before another opportunity passes you by. Directions: Drive North On Us Hwy 19, Turn Left On NW 19th Street, Then Follow Around Bend Where It Will Change To NW 21st Ct. At The End Of The Road, Bear Left Then Turn Immediately Right. Home Is On Right.